Find out how much your competitors’ are spending and what keywords and ad copies are the most profitable. 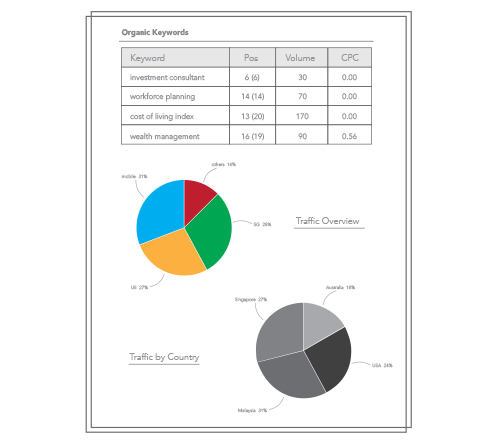 Gather insights into your competitors’ top ranking keywords and organic content strategies. 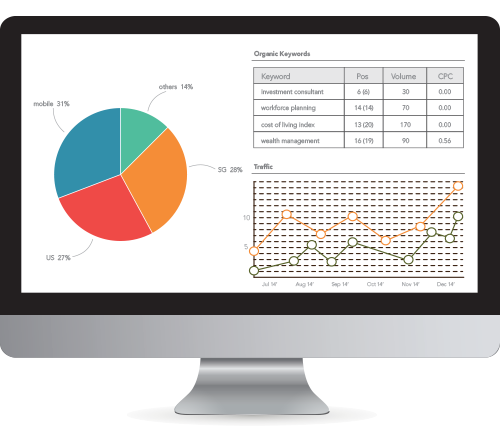 The InsightClick report serves as a guide for marketeers to make well-informed decisions on how integrating online advertising with their marketing activities can aid in achieving their goals. Also, learn more about what your competitors are achieving with their online advertising efforts and how you and your company can accomplish comparable results in today's dynamic Digital Landscape. Allow our Google Certified Consultants to help you intepret the report and make informed decisions on how Digital Advertising can work for you.